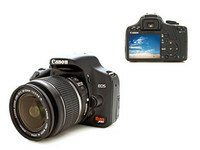 Digital SLR is short for digital single lens reflex. SLR uses a mirror positioned behind the camera lens to direct light toward the viewfinder when you’re composing a photo. Previous post: What Is Green Chemistry ?